Miami In Focus Photo Gallery of the Marionette Theater at the Swedish Cottage W79 in Central Park. Prices: Tickets are $8/adults, $5/children. Group rates are available for schools and non-profit groups. For reservations, group rates, and information on private birthday parties, please call 212-988-9093. 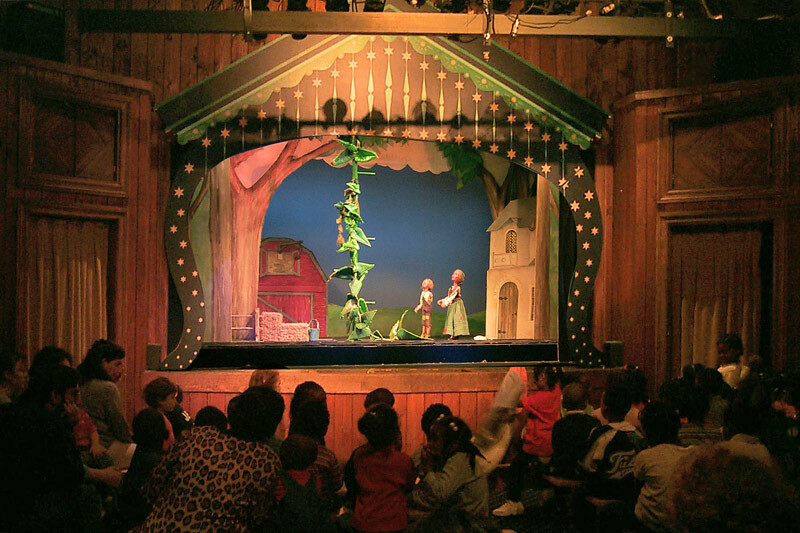 The Marionette Theater at the Swedish Cottage is one of the most enchanting and memorable experiences a child can have in Central Park. With remarkable productions of classic tales like The Magic Flute, Rumpelstiltskin, Jack and the Beanstalk, Cinderella and Sleeping Beauty, the CityParks PuppetMobile program also travels around the boroughs for citywide live puppet theater. Once the productions begin the screams and laughter of the many gathered children subside into anticipated silence and throughout the show children gasp with delight at all the right places turning the experience into one that their parents, teachers or counselors can well appreciate. 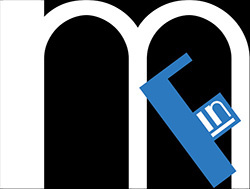 These are shows that bring delight to everyone involved and simply must be seen. The home to the theater is a quaint Baltic fir log cottage of Swedish origin. Built in 1875 it was originally a traditional schoolhouse. Transported to the United States by the Swedish government it was exhibited at the U.S. Centennial Exposition, held in 1876 in Philadelphia. This Nordic Romantic style structure was showcased as an example of the Swedes' superior woodworking craftsmanship. The charm of the Cottage made an indelible impression with the New York City Board of Commissioners, which purchased it after the Exhibition for $1,500. 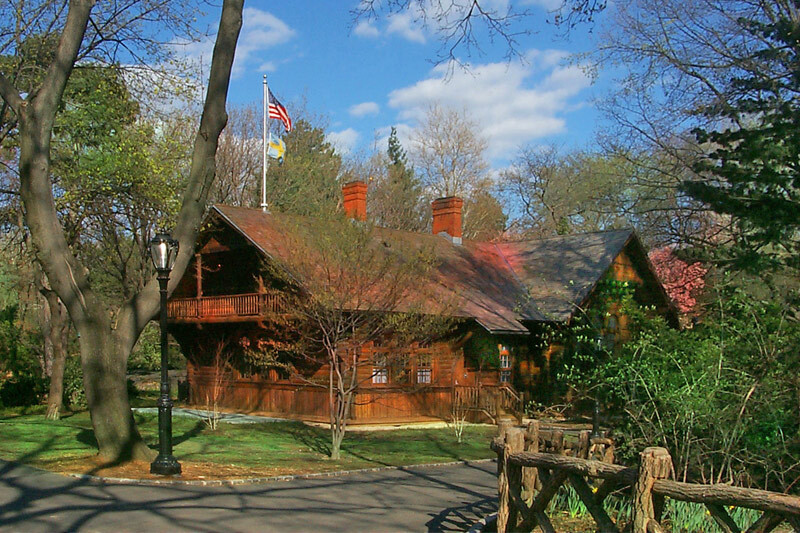 Central Park's chief landscape architect, Frederick Law Olmsted recommended that the Cottage be taken apart, transported to New York City, and reassembled at its present site in 1877. First used as a tool house and then a library it was later turned into a comfort station and lunchroom and then into the Park's entomological laboratory only to become the district headquarters for the Civil Defense during WWII. It wasn't until 1947, under the leadership of Mayor Fiorello LaGuardia and Parks Commissioner Robert Moses that the Cottage became the official workshop of the Park Department's Traveling Marionette Theater. 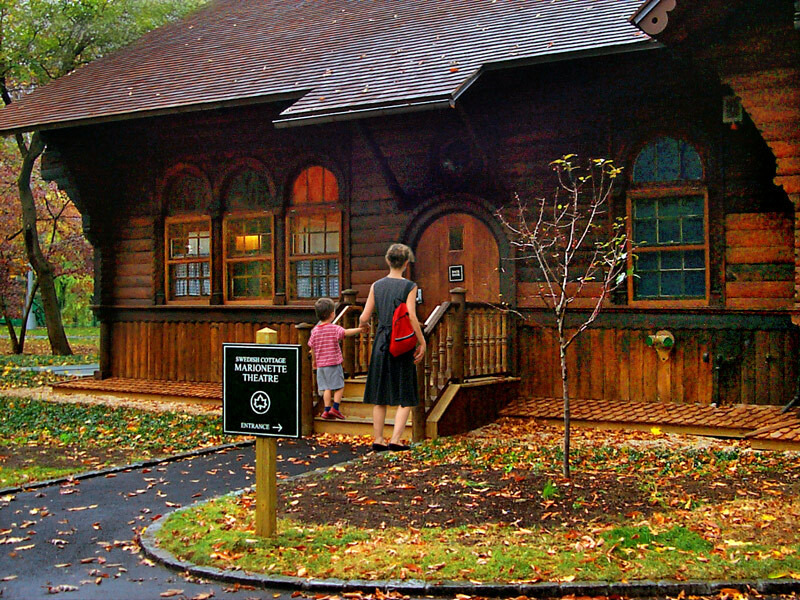 In the mid-1970s, a permanent theater was constructed inside the Cottage so that children could see marionette performances in Central Park. Recently transformed again through restoration the Cottage environment is completely delightful and so perfectly suited for its audience and its genre of theater.